← Tenkara Trick or Treat! Fall color is in the trees but last Friday winter was in the air and by yesterday, “spring” snowmelt runoff was in some of our streams. Yes, it’s been a crazy week for weather but that didn’t stop this intrepid tenkara first-timer from getting out with us and landing this handsome male Brookie (along with many others.) We had a really fun day including a lengthy session on dry flies with many an eager riser willing to learn about tenkara the hard way. 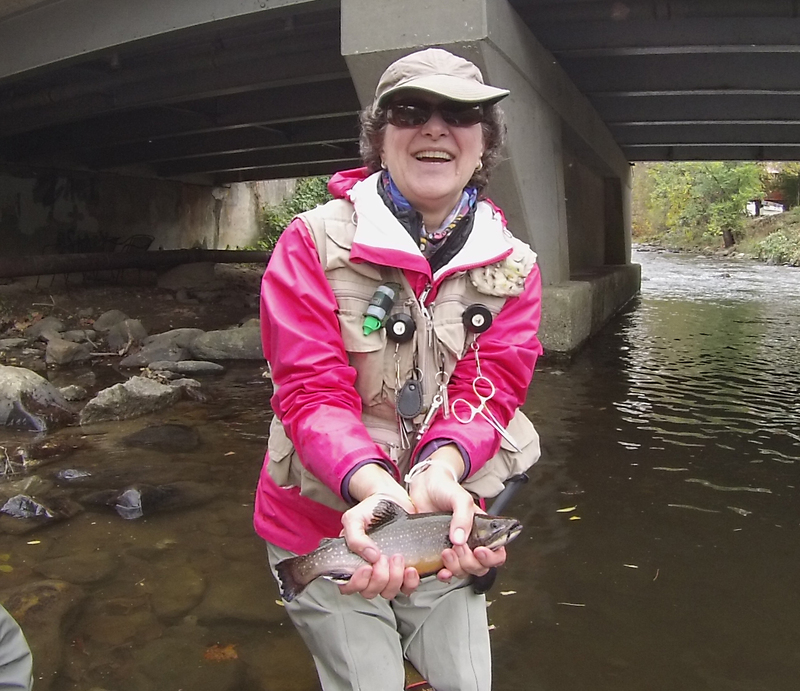 One of the great things about the Asheville area is that there is almost always somewhere to tenkara fish. The forecast looks highly fishable going forward, so come join us and give tenkara a try!